It’s been a good week for leaks. We’ve seen renders for all major upcoming devices and live images for the Pixel 3 lineup surface. All of these corroborate earlier rumors and provide us with more details to go on. Samsung’s Galaxy Note 9 got off to a running start on the rumor mill but lost steam to reality later on. 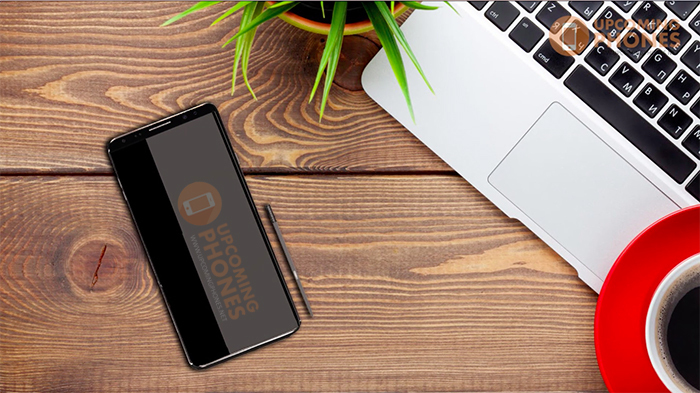 Now, it’s expected that the phablet will once again be an iterative upgrade, just like the Note 8 was over the Note 7. Take a look below for more details. 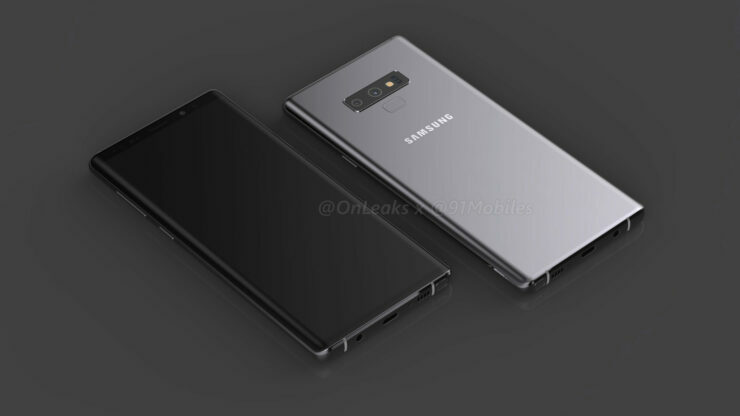 These renders of Samsung’s Galaxy Note 9 remind us of the Galaxy S8 lineup. The pair was Samsung’s first smartphones to feature an edge-to-edge, bezel-free display; a trend that has caught like first since then. The result was a fantastic all-display front. However, while this looked amazing, it forced Samsung to push the pair’s fingerprint sensor to the back. The company didn’t think too much about the change, as the Galaxy S8 and Galaxy S8+ were launched with fingerprint sensor placed awkwardly at the side of their rear cameras. This understandably led to a lot of smudging; an inconvenience not expected from a flagship-level gadget. 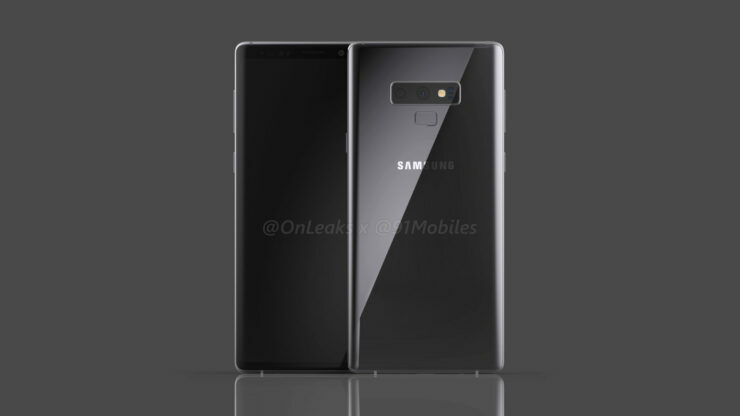 The Galaxy Note 8, launched after the S8 pair featured the fingerprint sensor placed at the side of the horizontally stacked rear dual camera setup as well. Samsung looked eager to preserve a hairline of originality with the device and went for a neatly arranged camera, flash and fingerprint reader configuration on the Note 8. This will break on the device’s successor. 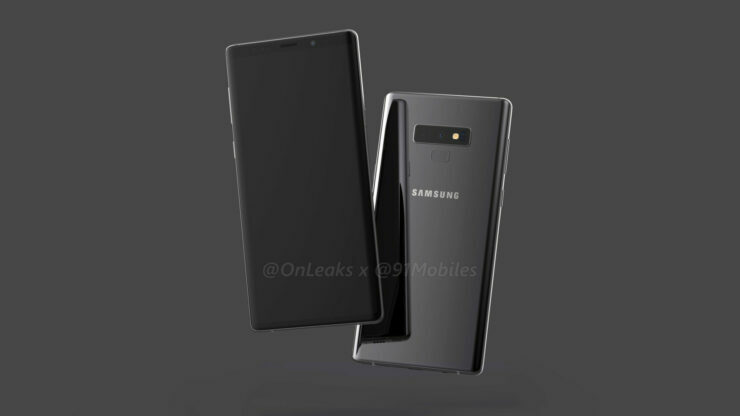 The renders don’t show any major external change on the Galaxy Note 9. The only difference present is Samsung’s decision to shift the lineup’s fingerprint sensor below the camera setup. This is similar to what is found in the Galaxy S9 lineup and is likely due to usability issues. Of course, we expect the Note 9 to pack some serious camera hardware in the form of variable aperture cameras. Perhaps this did not leave space for the sensor in the desired location and Samsung was forced to make the change. Speaking of cameras, a close look at the renders reveals that the lenses of the dual camera setup will have different widths. This is similar to what is present on the Galaxy Note 8 and the Galaxy S9+. Therefore, in all likelihood, Samsung will also introduce the feature on its 2018 flagship phablet. 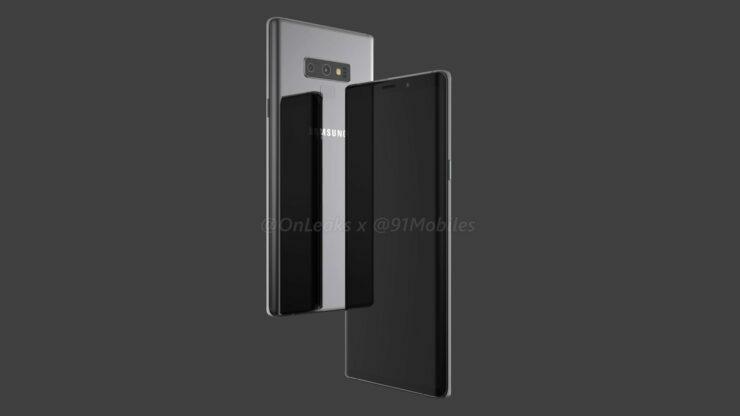 While the Galaxy Note 9 will not change much aesthetically, Samsung is rumored to make several software upgrades which include Bixby 2.0 and a new User Interface. On the hardware end, expect the Snapdragon 845 with at least 6GB of RAM. Thoughts? Let us know what you think in the comments section below and stay tuned. We’ll keep you updated on the latest.